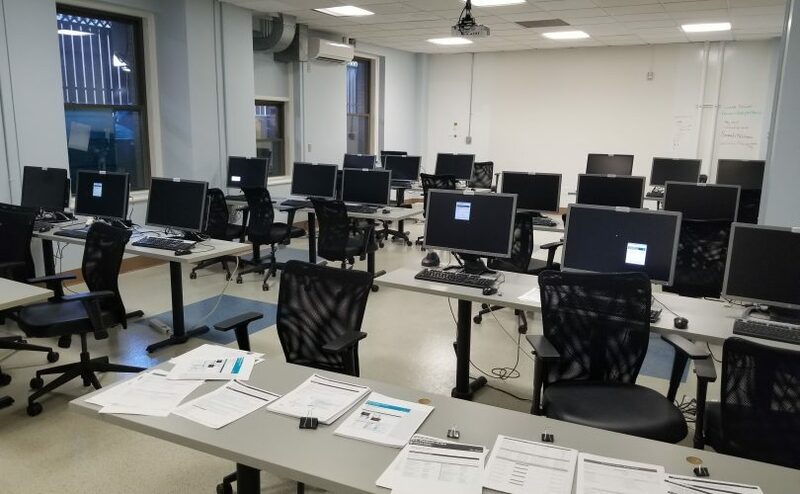 In the fall of 2018, the YEP Career Readiness program at Partners for Youth with Disabilities (PYD) was grateful to partner with the Spaulding Rehabilitation Network, who have provided access to the Job Lab space at Spaulding Hospital in Cambridge, MA. Our YEP Career Readiness program now provides our community-based Pre-employment Transition Services (Pre-ETS), through a collaboration with the Massachusetts Rehabilitation Commission, at Spaulding Job Lab on a weekly basis. We want to especially thank Oz Mondejar and Colleen Moran of Partners HealthCare for facilitating this opportunity. Use of the Job Lab space at Spaulding has many additional benefits for our youth participants as they work to improve their career readiness skills! The Job Lab site provides a larger space for students to learn which allows us to serve a greater number of students. Additionally, there are various small meeting spaces. These can be used for smaller group breakout sessions, one on one meetings, mock interviews, or if a student needs a quieter space to work. Additionally, at Spaulding Job Lab, all students now have access to their own computer during the classes which enhances their learning opportunities and gives them access to additional resources. Students have been able to search for careers they are interested in online, view videos, participate in activities related to class content, and create electronic versions of their resumes. Thank you to Spaulding Rehabilitation Network for the opportunity to use this innovative space. We look forward to continuing to work together to improve career development outcomes of youth with disabilities!